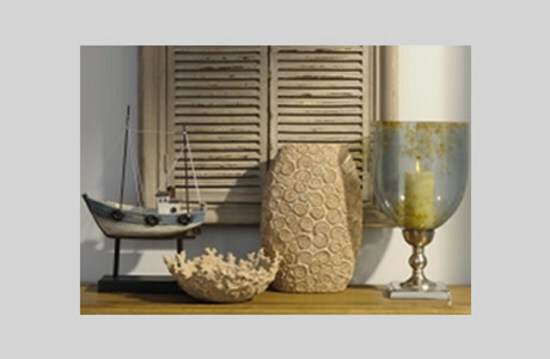 Cowshed Interiors are a dedicated home accessories, handbag and personal accessories online retailer. The business has evolved over the last few years, from importing our own range of trunks and storage items to where we are now, which is very much specialising in those unusual and hard to come by items for the home. As well as championing handmade in Britain items, we are also creating our very own ranges here in our workshops which means more of the items we sell are exclusive and not available from any other retailer. We are a specialist retailer of a great range of sheepskin rugs, including singles, doubles, quads, sextos and octos - as well as rare breed sheepskin rugs and reindeer hides. We do our very best to ensure that all items are dispatched on time, well packaged and meet the estimated guidelines we give when an item is purchased. There are some very rare occasions when this is not possible and quite often out of our control. The service level commitments we give are passed on directly from 3rd party courier and delivery firms who for whatever reason are not always able to keep to those guidelines. For those occasions we apologise but as such we are not able to give a guaranteed service but do know that our service has a greater than 99% success rate and we are constantly working to improve the service where we can - thank you. You have the right to a cooling off period. Please cancel your order in writing - the easiest way is to email us. We accept all returns but they must be in new condition, 'with tags', unsoiled, undamaged and in the original packaging. Packaging must be in 'as new' condition with no tears, cuts or damage other than on seams and boxes must be as new, with no labels or tape affixed - if needs be, items should be secondary packaged to avoid marking and damage to original packaging. We will refund the cost of the goods on return of the above. We are not able to refund the original cost of postage or the return cost of postage. We are not able to accept the return of goods which are either special order or made to order items. Please return items immediately and by a secure, signed for method - we cannot accept responsibility for items that are lost in transit. The only time we are unable to give refunds or exchanges is when items are purchased by and sold to retail outlets or individuals who operate in the interiors and/or interior design business. This also applies if we have given any type of discount to the trade, a retail outlet or individuals who operate in the interiors and/or interior design business. We will despatch replacements for damaged goods when we receive the original item at our premises. All other requirements to do with returns will need to be considered as per our Delivery & Returns Terms & Conditions. Items returned after 14 days and/or items not notified to us in writing - email us - within 7 days. 'Special Orders' or 'Made to Measure' orders. We are unable to give refunds or exchanges when items are purchased by and sold to retail outlets or individuals who operate in the interiors and/or interior design business. This also applies if we have given any type of discount to the trade, a retail outlet or individuals who operate in the interiors and/or interior design business. If you are having difficulties with your product please contact us. 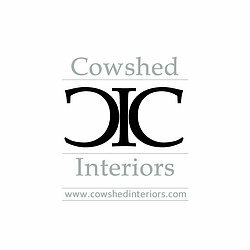 Cowshed Interiors reserves the right to change or modify the Refund Policy without prior notice.